Emilia-Romagna is one of the wealthiest regions in the northern part of Italy. The natives of Emilia Romagna are always in a festive mood and love their wine pairings. They have a rich culture of culinary delights. 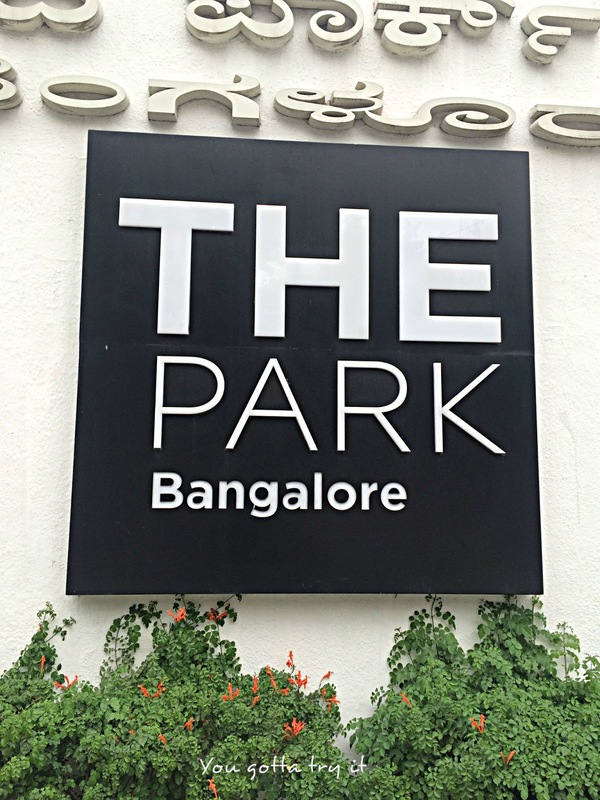 Italia, The Park has brought something different and new for the hungry souls in Bangalore. They are having the Emilia Romagna food festival throughout the month of September to celebrate the best Italian food. The festival is on from 1st-30th September 2016. The Park, Bengaluru needs no introduction. Located in the heart of the city; MG Road, this hotel is the ultimate destination for ladies night, weekend parties and for some amazingly serious food. 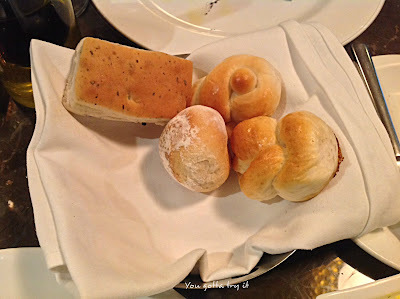 I was invited for a special food tasting by one of the prominent food bloggers from Bangalore. 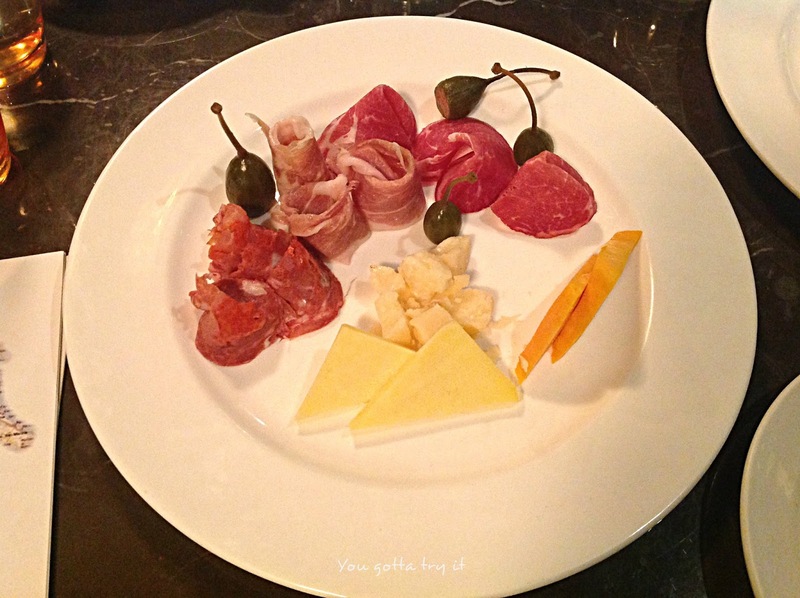 For experiencing the best Italian food, their menu is 'a la carte'. 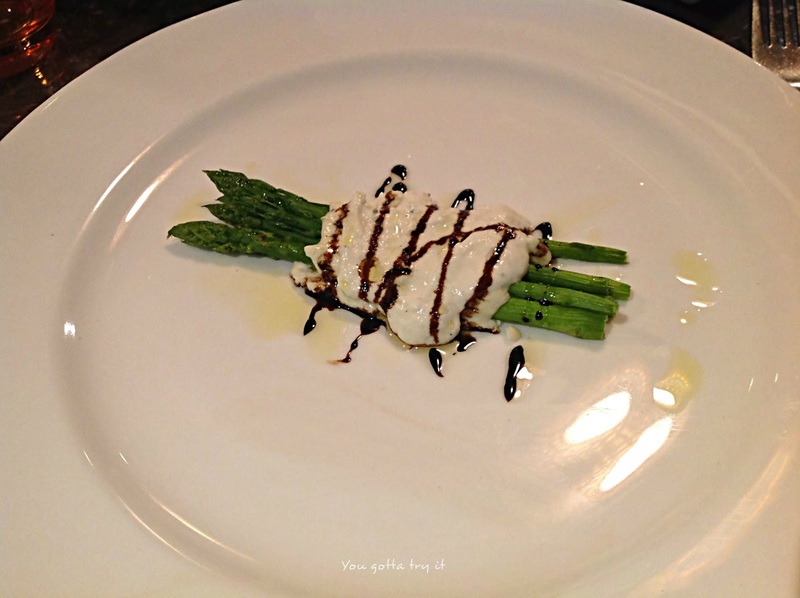 We started our dinner with a glass of red wine followed by an Antipasti - Asparagi con formaggio Parmigiano which was beautifully plated Asparagus with gratinated parmesan and balsamic reduction. This dish looked very simple yet tasted amazing. Then it was time for minestra, Crema di zucca gialla con porchino, which was a bowl of colorful and creamy yellow pumpkin soup. 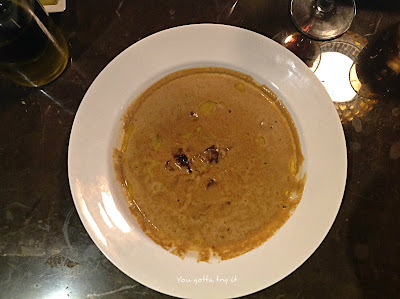 The soup served was hearty and flavorful. We were there on a ladies night on Wednesday, so hotel especially I-Bar was filled with party lovers. 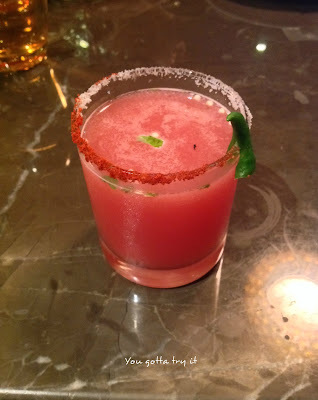 By now I was in a party mood and ordered my second drink which was 'The dual jewel', a whiskey-based cocktail with guava juice, grenadine, chilli, mint, and lemon. I just loved it. 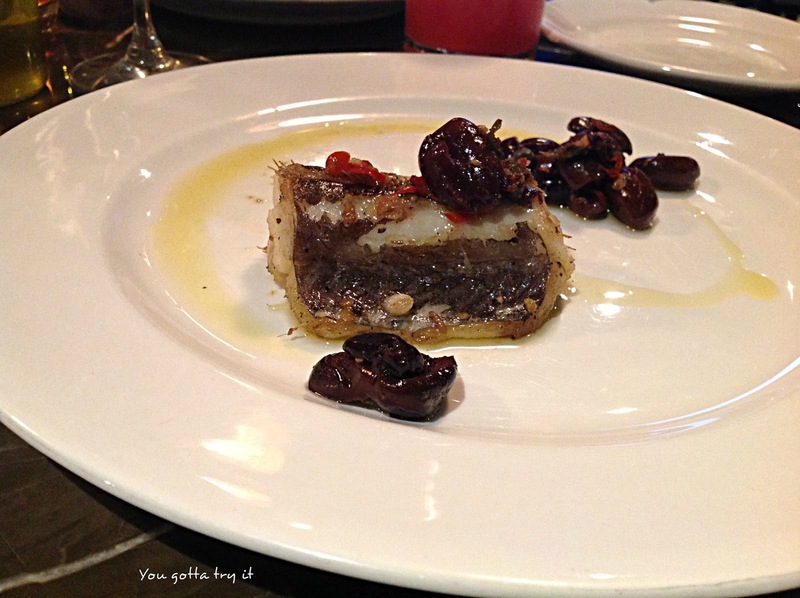 For the main course, we ordered 'Anguilla alla livornese' which was a big chunk of perfectly cooked Eel with capers, olives, and chilli. The trio on my plate was superb but I prefer fish without bone. 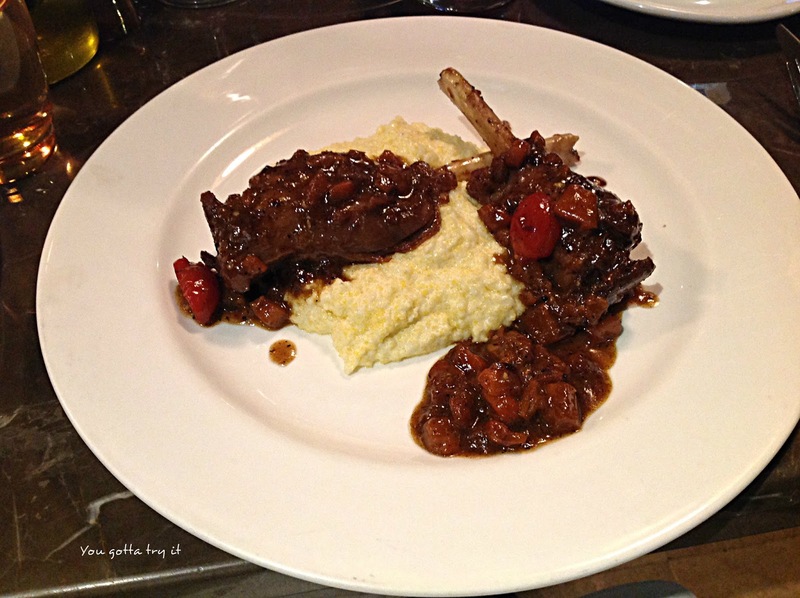 Next dish on our table was 'Stinco di agnello brasato', which was braised lamb shank served with soft and creamy polenta. I couldn't ask anything better than this dish and for me, this one was the winner. An Italian dinner without pasta is big 'NO' for me. 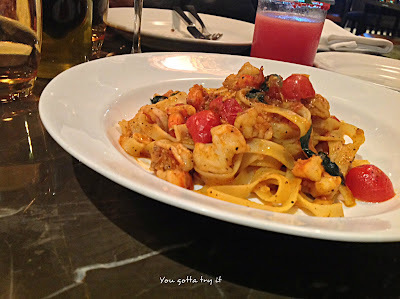 From the pasta menu, we got 'Tagliatelle alle canocchie', which was wonderfully done Tagliatelle pasta with shrimps, cherry tomatoes, and garlic. Though we were not keen on desserts this time, but the moment dessert was kept in front of us, we couldn't stop eating it. I'm talking about the stupendous dessert they served us, 'Fragolini al Balsamico' which was a strawberry compote and mascarpone crostini flavored with cinnamon and balsamic vinegar. The very first bite of it gave me the ultimate foodgasm. All the ingredients used for the dessert are my favorite. As Italia was booked for a private corporate party, we were comfortably seated in 'Monsoon' restaurant. Their service was quick and hotel staffs will make sure that you are comfortable while dining at The Park. 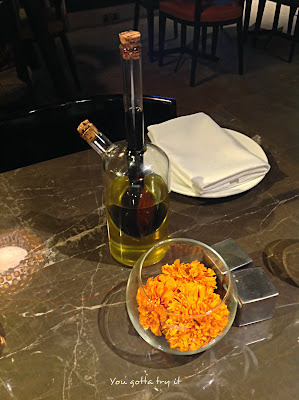 I just loved the overall feel of this place and will surely go back to try the stuff which I missed this time. 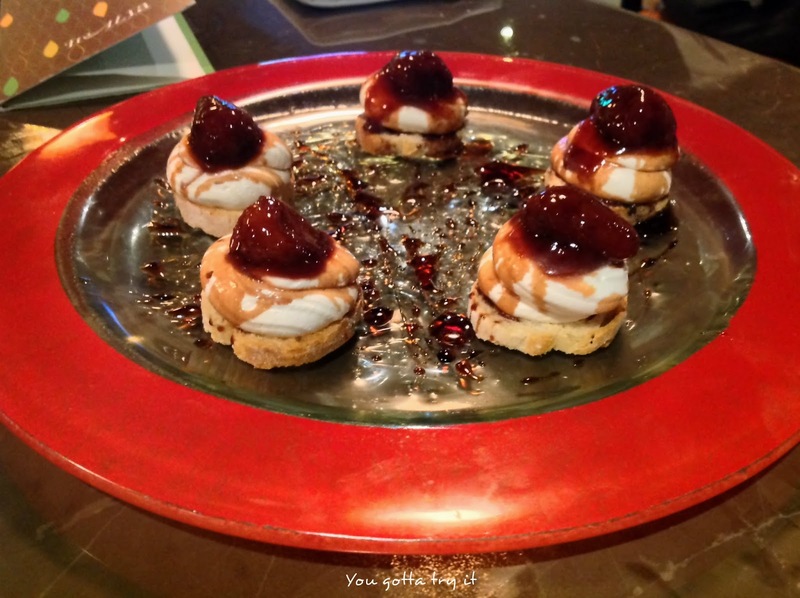 A meal for two would be INR 2500/- (approximately). Emilia Romagna Food Festival is on till 30th September 2016.